It’s certainly starting to feel like spring outside. Yesterday was warm and sunny, I spent most of the day outside working in the potager. If you remember, I showed you what it looked like last fall. This spring, it’s finally starting to take shape. Over the winter, I decided to divide the garden into four sections on the diagonal. Since our back door opens up to the corner of the garden, that seemed to make to most sense. When you come out the back door, you’ll be looking straight down the main path of the garden. Yesterday, I started making the pathways and the central feature. Instead of having the pathways intersect in the middle, I figured a large circle with a garden in the middle would visual interest. Tomato stakes were put in the four corners of the garden with twine strung between them to mark my two main garden paths. To make the circular path and garden, I put a stake where the two main strings intersected, then I used the rope with a stick trick to make the circle. It actually worked quite well, the circle is as good as it can get. Since there is an abundance of rocks here, I decided a rock border would be a nice way to hold back the soil in the slightly raised circular bed. I’m still on the fence about lining the main walkways with stones as well. The walkways will be covered with wood chips for now, perhaps I’ll use crushed limestone in the future. I have a lovely trellis that will go in the middle of the circle, I didn’t install it as I’ll need a helping hand. Mr Chiots was busy putting up firewood all day. Instead, I started planting the beds with vegetables. After much deliberation, I settled on rows that followed the central curve. While I have a hoop house of spinach, fall planted garlic bulbs, and a few overwintering perennials that are hindering the completion of the walkways, it is starting to look nice. The top of the garden dries out faster than the lower portion, so were also a few sections that were still too wet to work in, those will be finished up when things dry out. This view below is the view from the back door, as you can see, dividing the garden on the diagonal was a great idea! I even had time to plant yesterday. The circle in the middle was planted in: ‘Little Gem’ and ‘Winter Density’ lettuce, along with ‘Scarlet Frill’ Mustard. In one of the triangles I planted two rows of ‘Windsor Broad’ fava beans with a cover crop of ‘Idagold’ mustard interplanted between them. In front of the beans by the walkway there is one row of ‘Green Fortune’ pak choi and ‘Bowles’ Black’ pansy. The small area in front of the low tunnel was planted in ‘French Breakfast’ radishes. (click on variety names for seed source). It certainly feels good to tuck a few more seeds in the ground. Has spring officially arrived in your garden yet? Or are you lucky like Maybelline to not have any “off seasons” in the garden? About a month ago, I started a few containers of lettuce when I was starting the rest of my seeds. The first one is just about ready to harvest and I can’t wait. I’ve been really wanting to see green things on my plate and I can’t wait to enjoy this. There will only be enough for a few salads from each planter, but it’s better than nothing! Do you grow any vegetables or herbs indoors during the off season? I must admit, I’m a huge scrooge when it comes to plastic plant tags. I dislike them very much, in fact dislike might be a little tame when it comes to expressing how I really feel about them. Whenever I purchase a plant, the tag is put in a bowl in the garage, it is NEVER put in the garden. There’s nothing I dislike more than seeing those little tags peeking out of the soil. I know there are people who like to use them to keep track of plants, I am not one of those people. I actually wonder why people do put these tags in the garden, after only a season or two they’re often faded and falling apart or completely missing. The ones I keep in a bowl in the garage are still in great shape and provide a great reference every now and then. Back in Ohio, I found tags from the previous owners up until the time we left (10 years later). The funny thing is that I never saw any of the plants I found tags for. Perhaps they blew into my yard from neighboring garden, or the previous gardeners didn’t have very green thumbs. It looks like I’m back to finding relics of the previous gardens here. Yesterday was beautiful, I spent time in the afternoon picking up trash. I found quite a collection of plastic plant tags, all for annuals that have graced these gardens in previous years. No doubt I’ll spend the 10 years unearthing them from their tombs here. What do you do with the plastic tags that come with the plants you purchase? Well, it’s official, we will be doing the 5×5 Garden Challenge (the 5×5 Challenge website is up and running, head on over, check it out and join the forum). I’ve had a lot of questions about whether or not it would happen, so I figured I’d better announce that it will. I’m currently in the process of getting everything organized; seeds are on their way, regional mentors are being organized, making blog badges, etc. What is the 5×5 Garden Challenge all about? Encouraging new gardeners. Consider starting a group in your area to support and help each other. Gardening is as much about community as it is about plants. We’ll be setting up a special website, it should be on-line next week. There will be a forum for questions and for regional mentors to help beginner gardeners in your area. If you’re interested in being a regional mentor or forum moderator let me know (via contact form on the right) so we can get you set up. After much deliberation, I decided to go with the Rainbow Vegetable Collection from Renee’s Garden. I talked to Renee and she was more than happy to send me a pack to give away to one lucky reader. If you don’t think these vegetables will do well in your area, buy different ones. If you don’t want to buy this variety pack, buy seed for these vegetables from your local greenhouse. It would be nice for you to grow the same vegetables as everyone else in the challenge, but it’s not necessary. I’m also adding marigolds and basil to the garden for companion planting. The rules aren’t hard and fast, if you don’t have space to do a 5×5, make it 4×4, or plant in containers. If you don’t like one of the varieties chosen, choose something else. If you’re an experienced gardener, perhaps your 5×5 garden can be filled with vegetables you’ve always wanted to try growing but haven’t had the courage to try or plant the 5×4 garden and donate all the produce to your local food pantry. The main point of the challenge to learn and encourage those around you to grow something edible. Considering sharing a garden with your neighbor, thus halving your work. 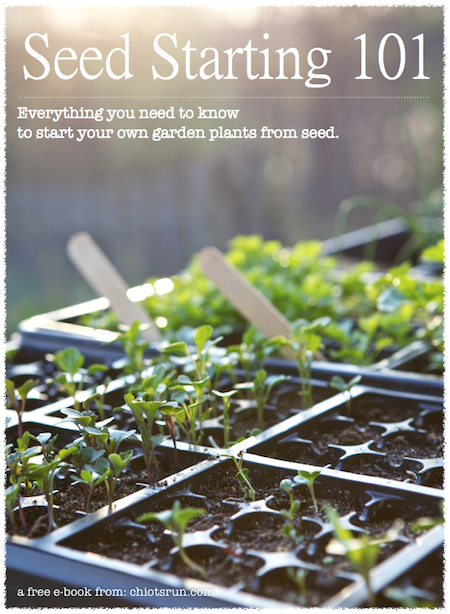 This challenge is all about helping beginner gardeners get started. The 5×5 Garden Challenge will become a weekly feature on the blog during the gardening season. Each week, on a chose day, there will an update on the garden challenge with to-do’s, Q & A sessions, etc. To kick off the challenge, we’re doing a giveaway. 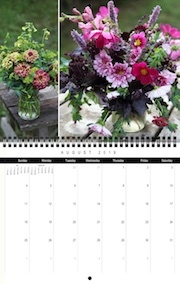 Join the 5×5 Garden Challenge for your chance to win the Rainbow Vegetable Collection from Renee’s Garden. How do you join, comment on this post and tell me how experienced of a gardener you are. Next week, when the website is officially launched, we’ll be doing another great giveaway of a container garden collection. So what do you say: are you in? It’s official, the 2013 edible gardening season has begun. I have already planted lots of seeds, mostly for onions and herbs, but the season doesn’t officially start for me until I plant seeds in real soil in the garden. On Monday, I spent time planting a large section of spinach. Of course, I couldn’t just plant spinach seed, curiosity always gets the best of me. It’s a common theory that soaking certain seeds will make them germinate faster. Soaking them in a diluted kelp liquid is supposed to make them germinate even faster yet. On Monday there were a few different cups of spinach seeds soaking, one in plain water, on in diluted liquid kelp. I planted both 12 rows of each of these and 10 of unsoaked seed. What variety of spinach did I plant? ‘Space’ from Johnny’s Seeds, which is supposed to be a good cold tolerant spinach. I must admit, I hope that the regular seed germinates just as fast, soaking seeds is a bit of a pain. It’s much more difficult to plant wet seeds with precision. Drying them on a paper towel first helped a lot, the seeds were much easier to handle when they weren’t dripping with water. It is still a little inconvenient to do this, especially if you’re planting a large section of spinach. After planting, the row was covered with greenhouse plastic over hoops. This is the same bed that was covered last week before the snow to help the soil stay dry and warm for planting. It’s amazing the difference this made, had I not done this, there would be no planting of spinach until most likely 2 weeks from now. The soil in the rest of the garden is still frozen solid and covered with a few inches of snow. It will take a while for the snow to melt and the ground to thaw and dry out enough for planting seeds. Do you ever soak seeds before planting them? Do you notice quicker germination?